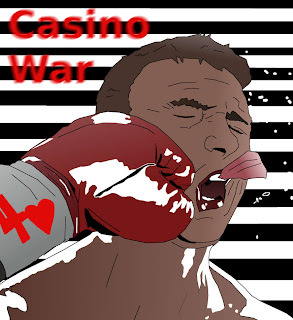 Casino War - It Hurts To Loose. 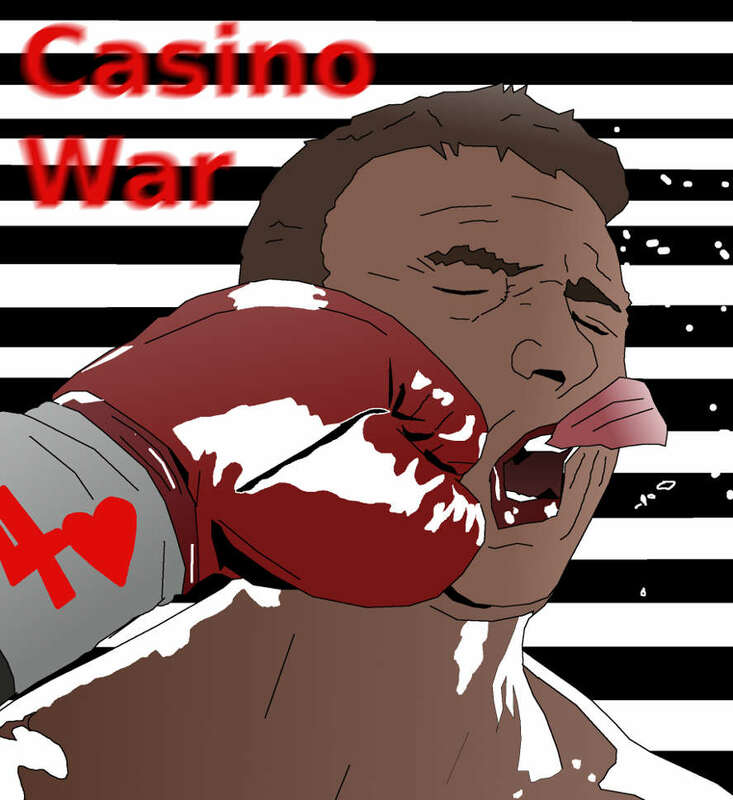 When playing casino war at an online casino and the card game has come to a tie, the player will have the option to surrender his hand and concede his bet, or he can decide to go to war against his opponent. If the player chooses to surrender half of his original bet will be returned to him. If on the other hand he bravely decides to go to war, he is entitled to place a second bet. Generally the odds are always best if the player decides to go to war. The player is actually favoured by 5% when he decides to go to war and this is one of the factors that demonstrates how going to war is generally beneficial to the player. And why when the choice of ear is presented to the player he should always take it, the chance of winning is greater than the loss that could be incurred.